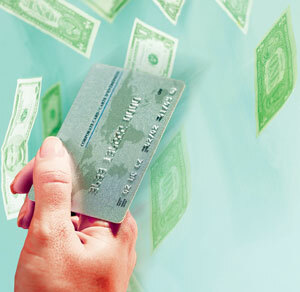 Smartcard News Blog: Cash or Cards: The Battle Continues..
Cash or Cards: The Battle Continues..
It’s Spring, the daffodils are out and at long last the sun is starting to shine. Mixed in with a little rain I know but then this is the English weather we are talking about. Anyway at this time of the year people start to smile and everything just seems to be that much nicer. However that doesn’t stop gloom and despondency from wandering around the marketplace, this time it’s chip security as discussed in our lead story this month. Otherwise the chip manufacturers seem to be busy with little slack in their fab lines. What I find so fascinating is the different views you get from people on a subject when we are all faced with the same facts. On this chip security I have got everything from I don’t care (i.e. don’t believe it’s a problem) right the way through to this is a show stopper for smart cards. Curiously the Tarnovsky attack has not made the big headlines even though by just about anybody’s estimation it’s a pretty fair achievement. Actually the Digital Money Forum (Hyperion’s annual event at the Charing Cross Hotel) caused most of the in house discussion this month. The full story is reported separately but it was the tales from James Allan that stirred the emotions. After one of those late night foolish wagers James bet his friends that he could live in London for a year without cash, just cards. Now you could be cynical and say what a good way of scrounging from your friends but I don’t think James is that sort and anyway it’s interesting to think about those things that cause you a problem. At the end of the day there is that question, can you get rid of cash? Well it was actually meetings with friends that caused most of the problems, those little P2P payments that we never think about. How about ‘Putting a fiver in the glass’ to pay the kitty for a night out at the pub? Then there’s paying a couple of pounds for those raffle tickets. Then there is the contribution, Jane is sick so let’s buy her a card and some flowers, give me a fiver. I could go on, the truth is we never think about those little P2P payments but our whole social life is based on them. Any cash replacement system that can’t handle P2P and that really means person to person in the street, pub, office, etc, seems doomed to failure. At the other end of the scale and caught a little bit by surprise is that there are some higher value transactions where cash is still the order of the day. Putting down a deposit on a flat for instance is often met by a demand for cash on the grounds that cash is irrevocable, which is clearly not the case with credit and debit cards. So there’s another one for the pot, any cash replacement system has to be irrevocable. I feel I’ve just made the list of contenders pretty small. Anyway the other interesting story is of course to turn the argument around and ask if you can live in London for a year without cards, just cash. Now I’m probably biased here but cash seems pretty powerful to me, I’ve never forgotten the bank manager who explained to me that he lived on cash because he always got a discount, there was nothing personal here but he then proceeded to get the biggest wadge of notes out of his pocket that I have ever seen. Perhaps this was all before the day of the mugger or bag snatcher which I have experienced firsthand. That’s when you end up with no cash or cards. So what happens if you haven’t got a card? Well just about every form of remote payment goes out the window and more and more of the machine payments, rail tickets and parking are now moving to cards. No more waiting in the queue for somebody at the machine to find they’re a £1 coin short and it won’t accept the £10 note, in fact it’s a game of bluff to see who else in the queue blinks first and hands over a £1 coin. Perhaps this is what the bank manager meant, a neat way of getting a discount. This is of course a particular problem of the poor also discussed at the Forum that they tend not to have cards and it’s really our new world of the internet and mobile phones where we are increasingly buying our goods and services. No more going down to the shop, testing it out, and then buying it on Amazon. Not me I hear you say. Here is lots of useful information about Prepaid travel cash cards also you can directly apply for money cards, travel cards and travel currency cards.